The suggested option for WMI discovery in vScope is to use a service account with sufficient reading rights. The account is protected with strong encryption and is never used for any write operations. Using a service account with sufficient rights minimizes the workload and guarantees the best results with minimal efforts. But vScope can work with a normal user account as well. What’s important is that vScope is allowed to read WMI, and that the local firewall is not enabled. Here is how to set up a domain user-account to enable vScope to perform a discovery. If you do not want to use a domain admin without a regular user without admin rights, you have to make a few settings on the machines to be scanned. Several of these can be done via Group Policy Objects via Active Directory, but the most important of them all (Rights for WMI namespace below) must be done manually or with a startup-script on each target machine, otherwise the user will not have access to WMI . 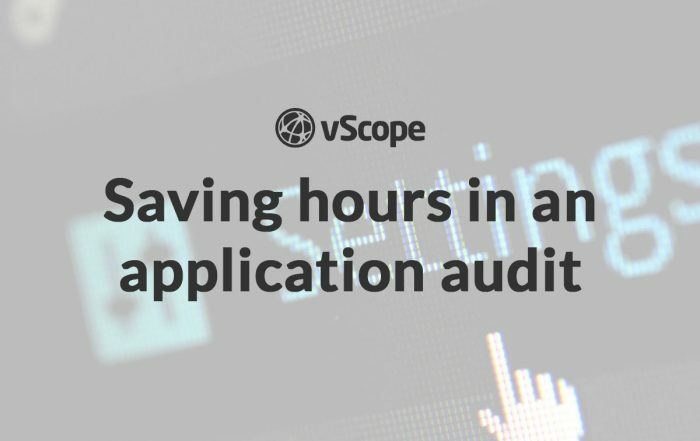 vScope users can contact us directly to retrieve scripts to automate the steps in this post. In our case we run Active Directory on Windows 2008 R2 and we want to scan the target machine which is Windows 2012 R2 machine. Our domain is called “ISL” and we name our dedicated WMI user-account “wmiuser”. Make sure Member of is set to Domain Users so that the user is in a valid group. Under Applies To-list: Choose This namespace and all subnamespaces. It is very important that the rights are applied recursively down the entire tree! Under COMPUTER SETTINGS in the printout, look for WMI Access (the GPO we created) under the Applied Group Policy Objects. If it is listed there, it means that it is applied to the machine.